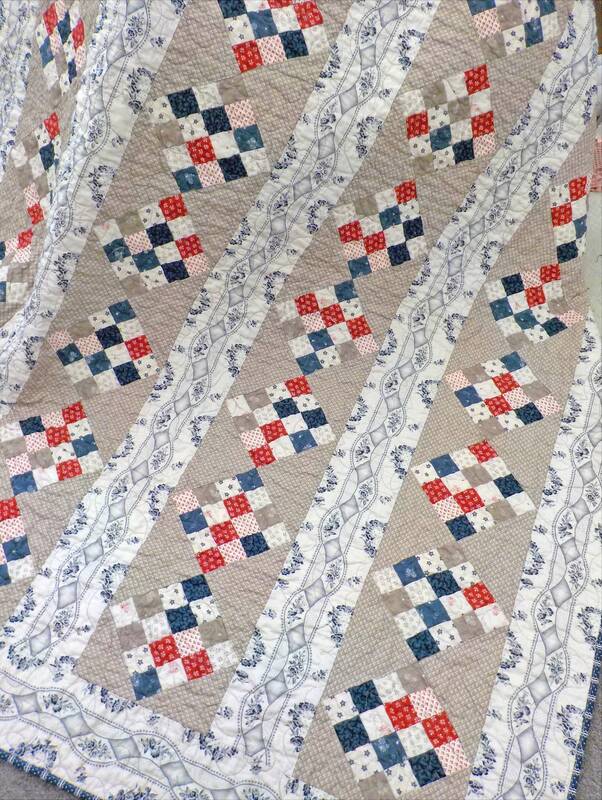 Rockets' Red Glare quilt kit...designed by Mickey Zimmer for Sweetwater Cotton Shoppe. A perfectly over-sized cozy throw. Rockets' Red Glare measures 59 x 78 inches and is a wonderful throw for the back of the couch, the porch swing, cool nights by the bonfire, picnics, parades, and 4th of July at the Lake. 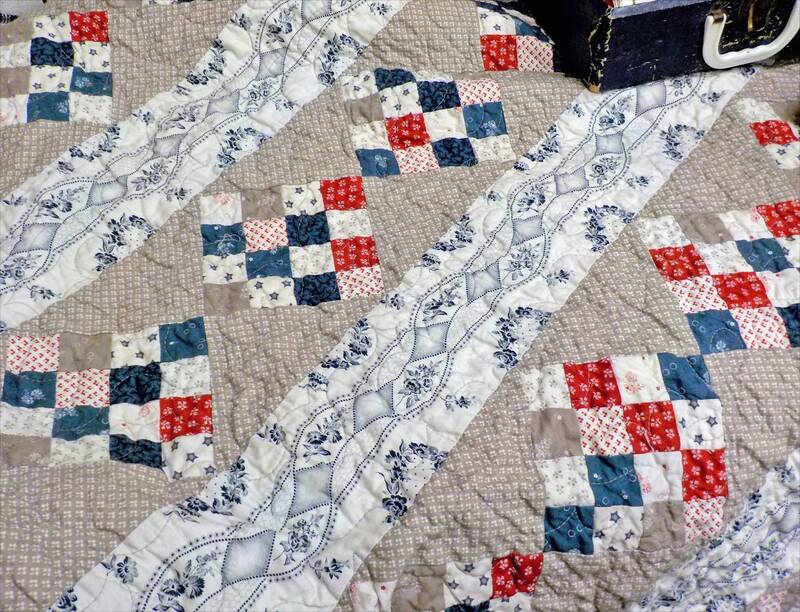 Classic 16-patch blocks are separated by a scroll/floral print. Colors are a blue, red, stone, and greyish white. Pair with some vintage bunting and flags and you are set! Rockets' Red Glare features Portsmouth by Minick and Simpson for Moda Fabrics. Rockets' Red Glare finishes at approximately 59 x 78 inches. The listing is for the kit. Kit includes: fabric for the front , pattern, and binding.